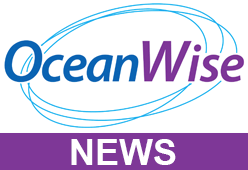 OceanWise Ltd has provided the Marine Department at Peel Ports (Clydeport) with specialist tools that takes processed hydrographic survey data and converts it into Electronic Navigational Charts (ENCs) suitable for use within Portable Pilot Units (PPUs). The production of the Bathymetry and Port ENCs, which are now being used operationally by Clydeport Pilots, is an extension of Clydeport’s comprehensive data management and geographical information system (GIS) which OceanWise is rolling out across Peel Ports Group. The combination of OceanWise’s Maritime Toolbar and ENC Writer Extension is a natural addition to OceanWise’s maritime workflow software suite that Peel Ports has been using for over 2 years. Clydeport Pilots are now able to overlay high resolution bathymetry from recent surveys and other locally held operational data on official ENCs, as well as producing Port ENCs derived from source data stored and read directly from a common spatial database as part of Peel Ports overall ‘Maritime Information Infrastructure’. This infrastructure avoids the need for stand-alone software products and replicate datasets and is hence more efficient and easier to keep up to date. Gillan Locke, Marine Officer at Peel Ports explains, “We have found the high resolution Bathymetry and Port ENCs created by OceanWise to be an essential tool in our ability to safely navigate vessels within the River Clyde. Being able to get detailed up-to-date information from our in-house Survey Team, compared to a standard ENC, into our Portable Pilotage Units has made us more confident in manoeuvring larger ships in confined spaces. Knowing our in-house Survey Team can now do a survey and create ENCs quickly gives us increased confidence and security with any pilotage operation, and will assist us in planning and executing future large ship movements.